The owner of Perfect Tan is Harvey Woodyatt of Lindon. Harvey is the Store Director of Smiths Food and Drug in Saratoga Springs. 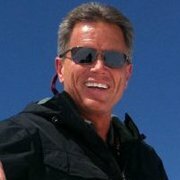 He started Perfect Tan in Orem 13 years ago and took over the Tanning Bar in Park City in September 2010. He is committed to giving you the "Perfect" tanning experience each visit. 435-658-4826 or email us below. Perfect Tan (formerly "The Tanning Bar") is located on Redstone Center Drive just across the street and down from Whole Foods Grocery store at Kimball Junction, Park City.